In a unanimous 8-0 ruling, the U.S. Supreme Court recently held that the Federal Motor Vehicle Safety Act does not preempt product liabililty claims brought under state common law for defective seat belts. In 1993, the Federal Motor Vehicle Safety Standard (FMVSS) 208 required lap/shoulder belts in all vehicle seats except certain rear seats in vans. In the regulation, the National Highway Traffic Safety Administration (NHTSA) specified lap/shoulder belts were safer, but requiring them in all seat positions would not be cost-effective. The authorizing statute provided that compliance with the standard did not exempt manufacturers from common law liability. Thanh Williamson died in a car accident while traveling in a Mazda mini-van that fell under this regulation. She was wearing a lap-only seat belt. Her family sued Mazda, alleging the company had a duty under state law to install the safer lap/shoulder safety belts. The case is Williamson v. Mazda Motor of Am., Inc.
A California trial court dismissed the lawsuit, finding the Federal regulation preempted the claims. An appellate court affirmed, relying on the ruling in Geier v. American Honda Motor Co. In that case, the court determined that the preemption applied in an auto defect claim involving the manufacturer’s failure to install air bags. In Williamson, the Supreme Court distinguished between the regulations governing air bags and seat belts and said the seat belt regulation explicitly encouraged car manufacturers to install lap/shoulder belts. 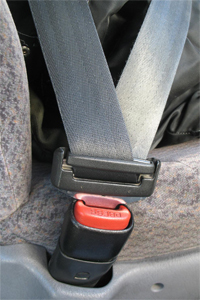 NHTSA supported the plaintiffs in an amicus brief, arguing that its policy objectives would have been met if the lap/shoulder belts had been installed. Without a regulatory objective blocking installation of the lap/shoulder seat belts, the Court held that the auto manufacturer could not claim preemption based on the Federal agency’s judgment of cost-effectiveness. Such a judgment does not signify preemptive intent in most Federal safety standards, the Court said. The Court’s ruling was a victory for consumers in the United States. Having the right to bring claims against manufacturers for defective products is not only a vital way to compensate people injured or killed by the defective products; product liability cases are also a strong force for the improvement of safety in consumer products. Tagged: "Boston product liability lawyers", "car accidents", "defective seat belts" and "product liability"